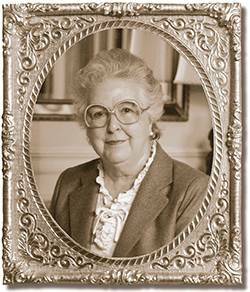 What is the Ardath Burkhart Legacy Society? For those who want to make a difference even after they’re gone, WFYI has created the Ardath Burkhart Legacy Society. This legacy society is the perfect way to make support for WFYI a part of your legacy in your estate plans. “Ardath’s Army” is the legacy of the true founder of WFYI. In 1970, Ardath’s Army went door-to-door soliciting funds to bring Public Broadcasting to Central Indiana. Almost forty years later, we still feel her stalwart presence in our organization. The Ardath Burkhart Legacy Society honors people who have made a provision for WFYI in their wills in any amount, established a life income gift to WFYI, or given $10,000 or more to WFYI's Future Fund (endowment). Permanent recognition as Ardath Burkhart Legacy Society member at WFYI. Opportunities to meet local and national public broadcasting personalities at the annual luncheon and other private events. Sneak preview screenings of new programs. Behind-the-scenes updates on new programs, services, and activities before they become available to the public. WFYI invites you to share your contribution to the mission of public media by considering a lasting gift to WFYI. Contact the Donor Engagement Office at (317) 614-0439, or via email. WFYI is a 501(c)(03) public charity.